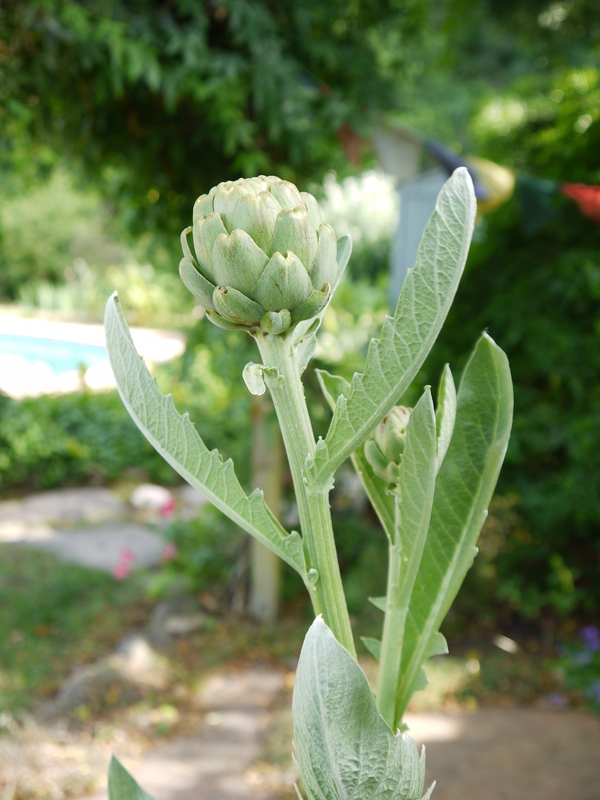 Artichokes are one of my favorite vegetables and this year I’ve been lucky to have several healthy plants in the garden. 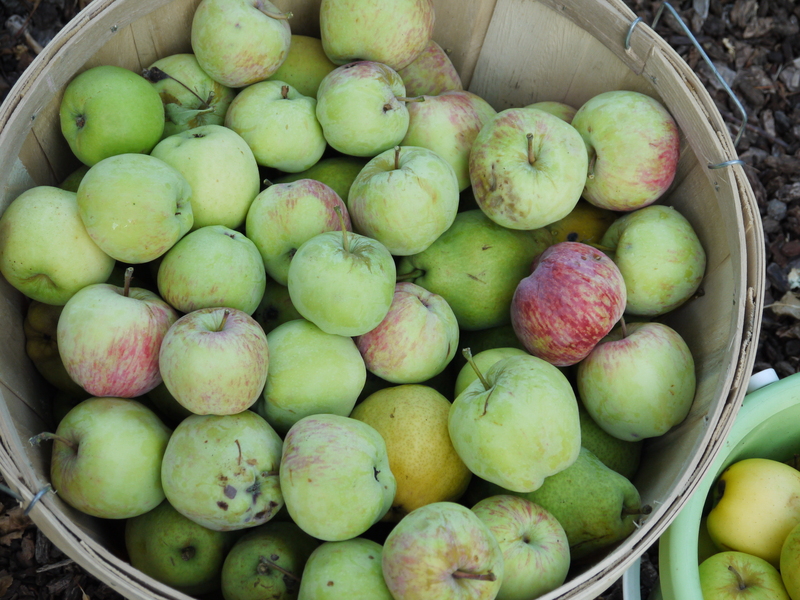 Since mine aren’t quite ready yet, I’ve been buying them at the market and cooking them up for dinner. 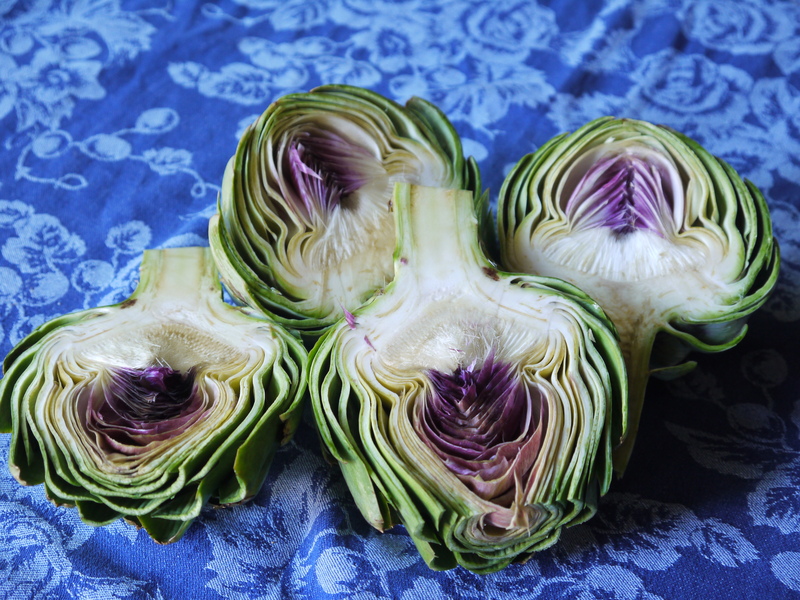 You want to look for chokes that have tight leaves and feel dense and solid when squeezed. First I cut them in half lengthwise. 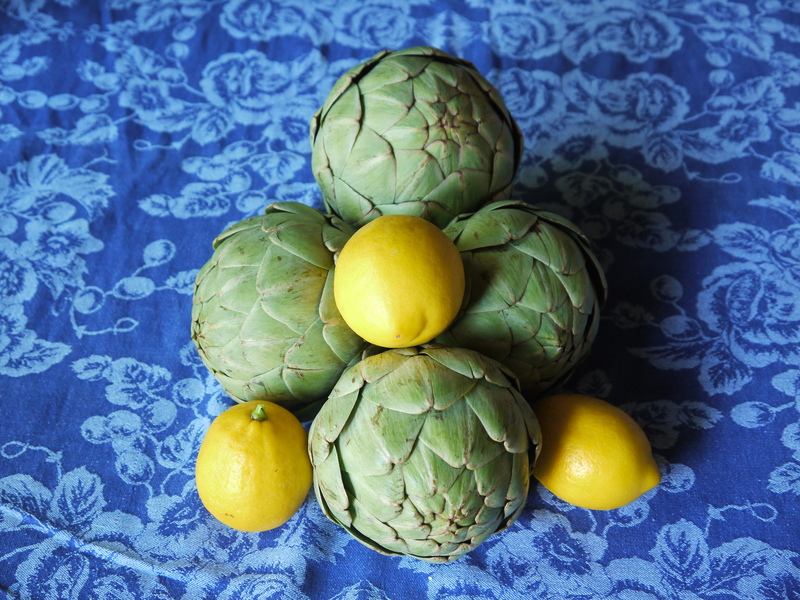 I use my biggest soup pot with a lid and add plenty of water as well as a whole lemon, cut in half and the juice squeezed into the mix. 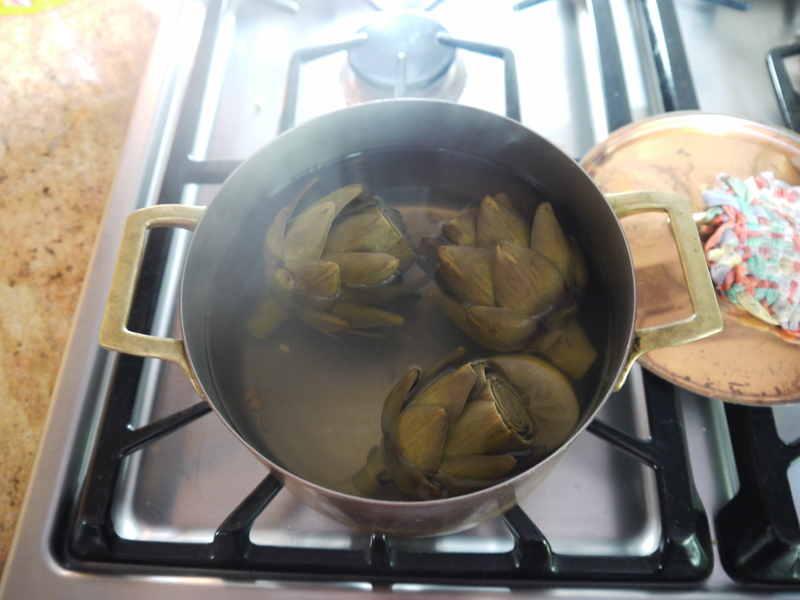 Put the lid on, bring to a boil, reduce to a simmer and cook until a leaf pulls off easily and is tender to the bite, usually about 30 to 45 minutes depending on the size of the choke. When I started this blog, I came up with a list of possible names for it that tickled my fancy. Then I went to buy the domain name and the entire list was already taken. So it was back to the drawing board, but I was out of ideas. One day I was talking to my friend, Judy, and put the question to her. 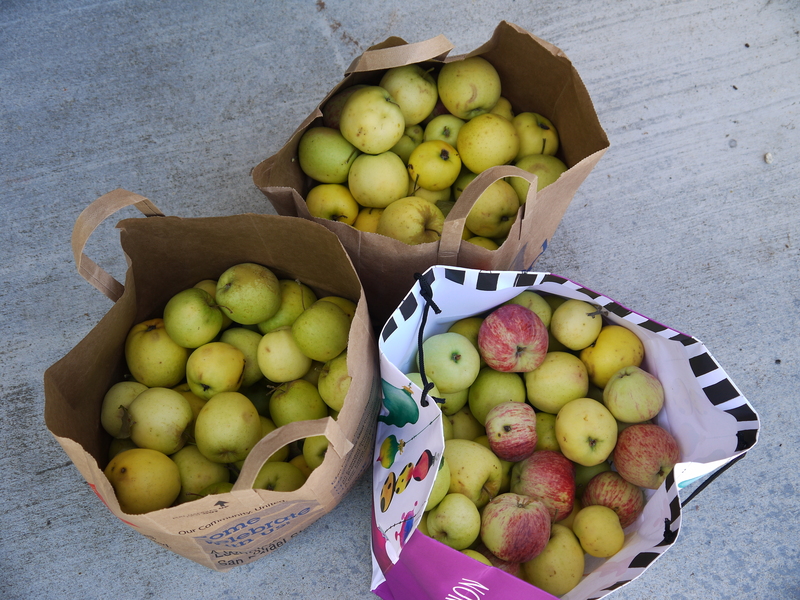 She immediately came up with “Too Many Apples”, because every September I am buried with the bounty from three very productive apple trees. 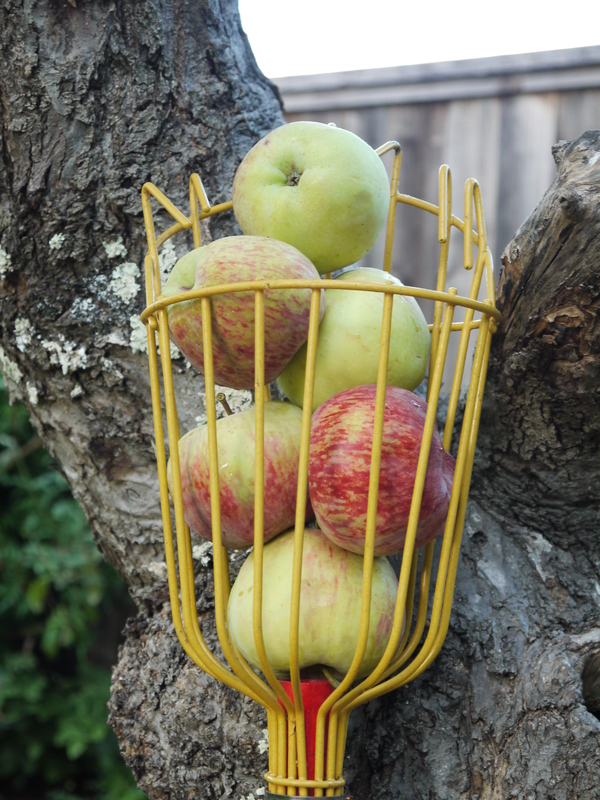 One of my favorite things to do with fresh picked apples is to make applesauce, which is a snap if you use a food mill. 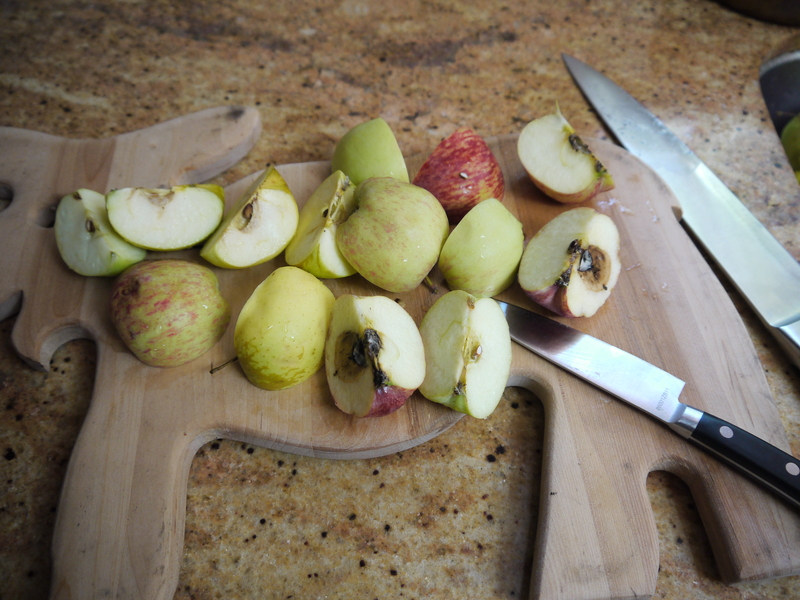 Cut them into quarters, removing anything that is ugly, but otherwise leaving the skins and cores on. 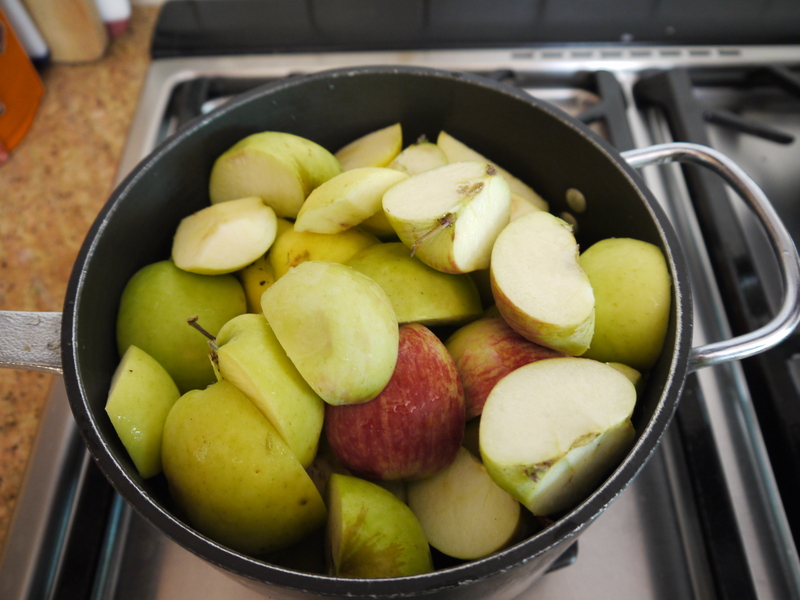 Load into a large saucepan and add about 3 inches of water, then cover and bring to a boil. 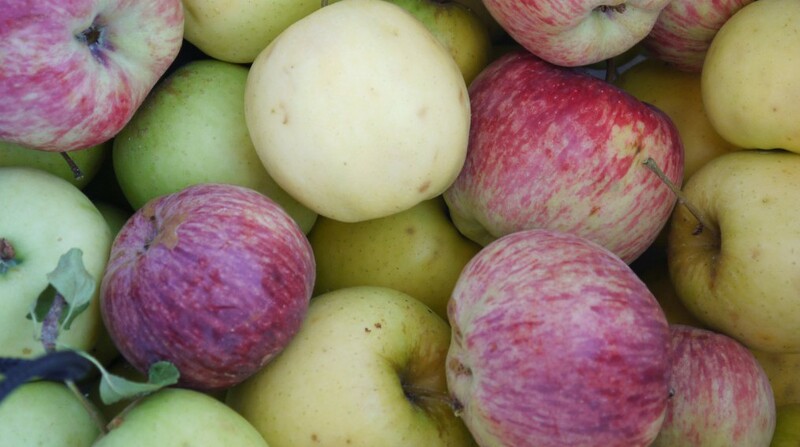 Lower the heat to a simmer and stir the apples up from the bottom every 5 minutes, until the apples break down and are completely soft, about 20 minutes. 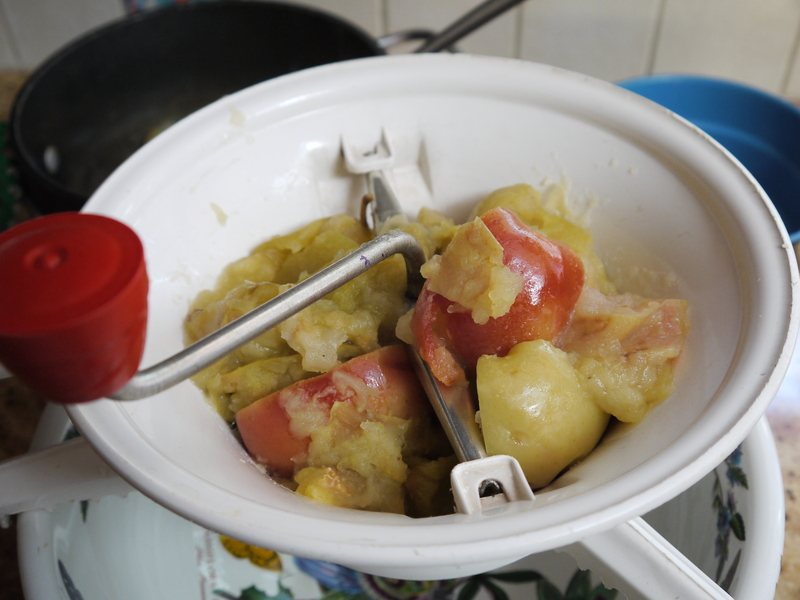 Using a slotted spoon, move the apples to the food mill, which you have perched over an adequately sized bowl. 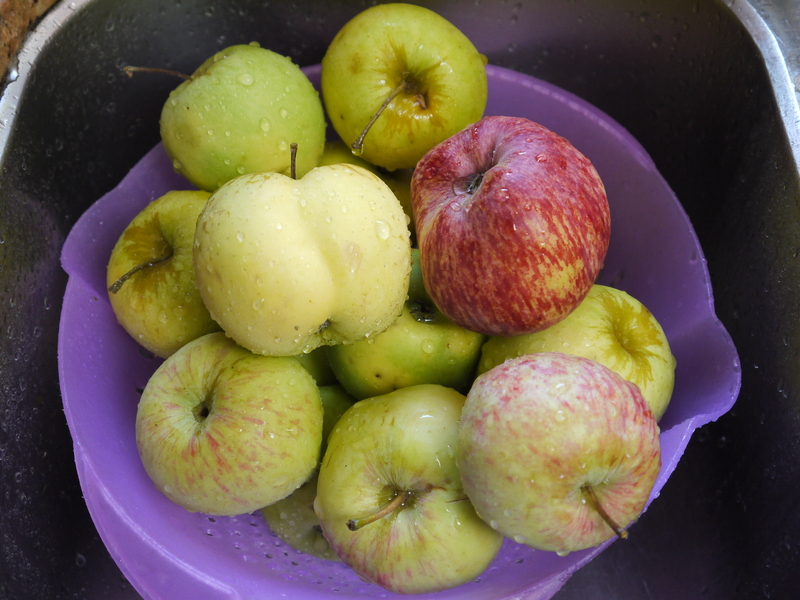 Keep adding apples to the mill until they have all been processed. Taste the sauce and add brown sugar, a good dose of cinnamon and a pinch of freshly grated nutmeg then stir to combine. 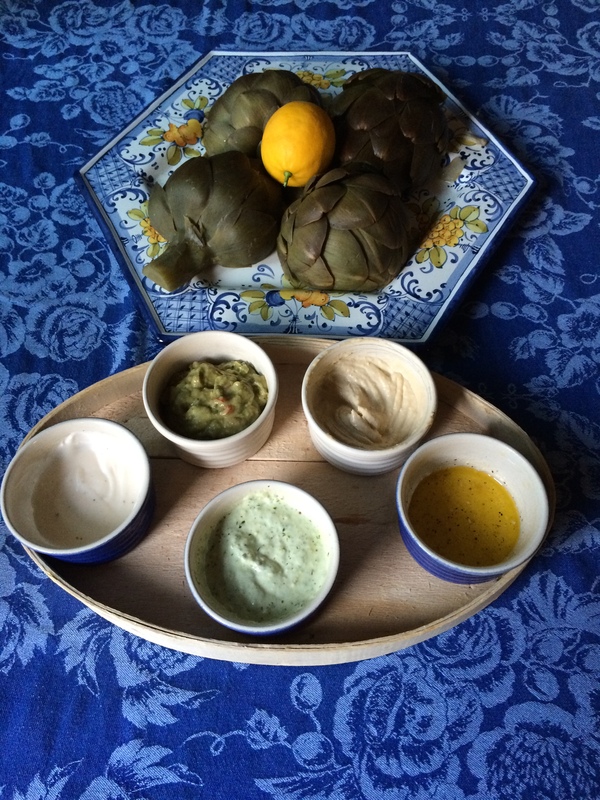 Taste again and add more sweet or spice to your liking. 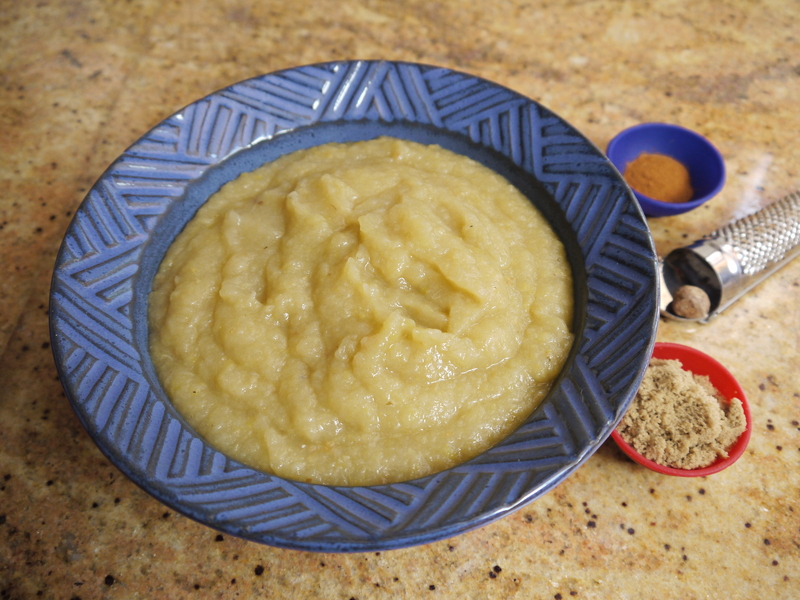 Served warm, the applesauce is akin to a down comforter on a dark, stormy night, the essence of comfort in a mouthful. 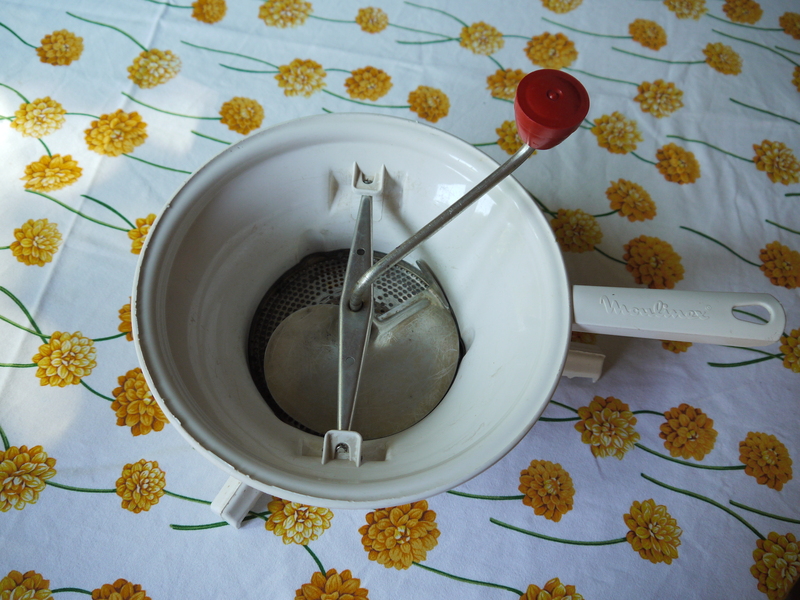 If you don’t have a food mill, follow the same method but peel and core the apples then, when they have softened, mash them with a potato masher to your desired consistency.